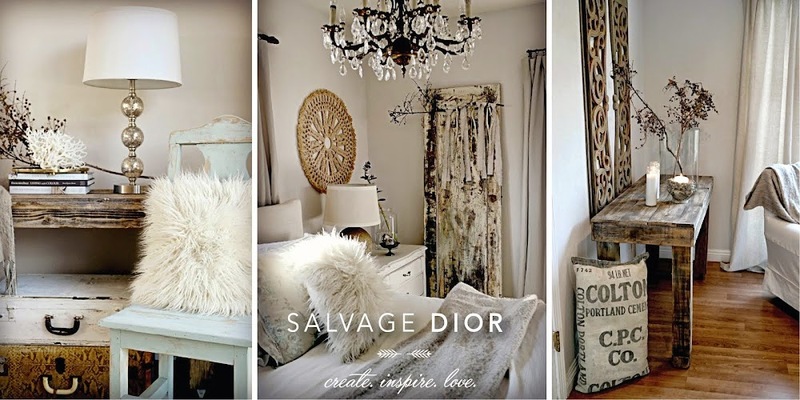 Salvage Dior: White Wednesday " this is why"
I can't wait to see what clippings I will bring home!!! 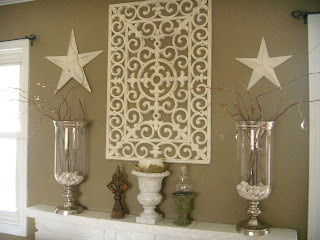 my favorite idea project yet two black rubber door mats that I spray painted white & sanded by hand then hung them on the wall for an inexpensive piece of art. I grabbed these rubber door mats at the dollar store. Hi Kate, I must say you are the clever girl of the week with the rubber mat wall art... WOW so smashing. I hope you have a great Wednesday. I hear we are supposed to get more rain so stay dry this weekend. Love, love, love all your beautiful whites Kate. Oh! And what a wonderful idea...the "Clippings Exchange" with your neighbors. They are going to love yours...I know I would. Have a wonderful day my dear and sweet friend. You can rock a goodwill like no ones business, I love that!! Those succulents look darling in those pails...have fun! Hey Kate, love all the white and the idea for the clipping exchange. You presented them in such a sweet way! 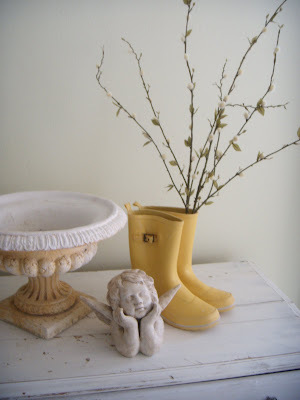 Your little girlie's photo on your banner is just wonderful and I'm in love with those yellow galoshes! Hi Kate! Happy White Wednesday! Your little "G" is a cutie! Sweet photo! I'm really liking your clipping exchange idea...I would love to have a neighbor like you! All your vignettes are lovely, as always! You are so talented and creative! I would never have thought to paint a rubber mat....clever girl! Love it!! As always, the most BEAUTIFUL photos ever! I love your "doormat" idea, turned out really nice. 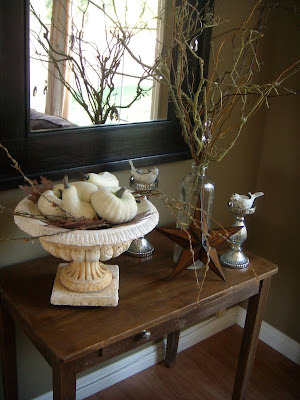 I always like to stop by your blog, the photos always just blow me away! Happy White Wednesday!! 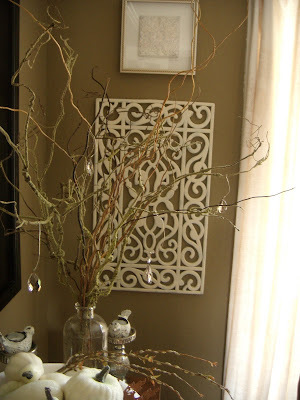 Kate your decor on a budget is so amazingly inspiring! What an eye for style you have. I always love my visits here and can never get enough. People always find way better things at Goodwill than I do. Actually I find great things, but the prices are usually too ridiculous and far from a bargain. Once in a great while I score. You have the prettiest "white" post! I love the cutting exchange idea. And your goodwill find, the white urn! Beautiful! I can't believe those are floor mats! They turned out great! I like your idea of the "clipping exchange". I've given many starts and clippings to my family and neighbors over the years. It would be a great party idea. Love all your thrifty *whites*...who woulda thought? A door mat?! I am SO crazy about those rubber door mats! Girl, you are a genius! Oh daang... you are rocking the doormats! awesome.. love it. addin' you. Love the old doormats painted white! I came over via Polly's blog. Met her in person when I visited her booth at the Shoe Factory last year. 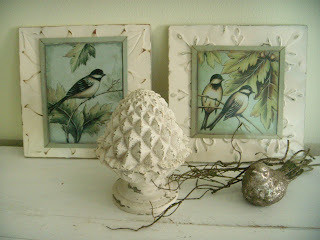 You have a lovely blog and some great ideas for creating pretty accessories. Hi Kate, You are so talented!! I love your home. I just wanted to encourage you, your really good and what an eye for style. Oh and your so pretty too! !